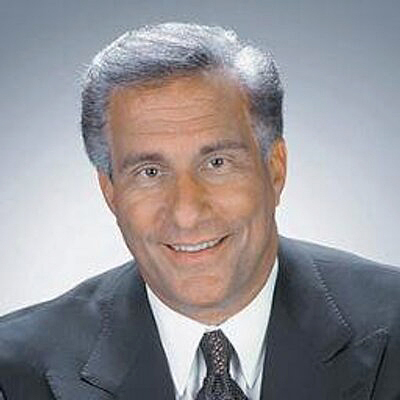 La Mesa Foothills Democratic Club will have the pleasure of hosting the inestimable Ted Leitner to speak truth to power at its Wednesday night, Feb. 6, meeting at the nearby La Mesa Community Center. Leitner, San Diego’s best-known sports broadcaster, is most familiar to San Diegans as the longtime voice (39 years) of the San Diego Padres, and also the voice of San Diego State University Aztec football and basketball. He’s also called games for the San Diego Chargers, Philadelphia Eagles, San Diego Clippers, and numerous other college and pro teams on both radio and television. Leitner had a nearly 25-year relationship with KFMB-TV as the nightly sports anchor, doing the sports segment on the 5 p.m. and 11 p.m. news, and for a brief time hosted a daily non-sports talk show on the radio side of the same station. He opined freely on a variety of topics, including the Bush administration’s 2003 illegal and immoral foray into Iraq in which thousands of Americans died and millions of Iraqi civilians were killed, injured or displaced. His run-ins with conservative program director and fellow talk show host Mark Larson are legendary. “Perhaps more astonishing than the fact he has worked with no fewer than 10 radio partners is that Leitner has worked for so many bosses. The Padres’ current home on 94.9 FM is their fourth. The current owners are the team’s fifth since Leitner began calling games in 1980. It’s not that none of those owners – or the five team presidents or too many listeners to count – haven’t quibbled with Leitner’s stream of consciousness manner or his endless supply of anecdotes about Ray Charles and Mickey Mantle and Jerry Lewis. It’s not that no one has ever wondered if the game is getting in the way of Leitner’s stories. Leitner studied TV and radio broadcasting at Oklahoma State University and earned his master’s degree in radio/television/film from the University of Oklahoma in Norman. In addition to broadcasting and hosting multiple sports community events, Leitner has lent his talents to many charitable and nonprofit fundraising events over the years. La Mesa Foothills Democratic Club will meet Feb. 6 at La Mesa Community Center, 4975 Memorial Drive starting at 6:30 p.m. The club, which represents the communities of San Carlos, Allied Gardens, Del Cerro, La Mesa, College Area, Santee, Mt. Helix, Casa de Oro and Spring Valley and other close-by areas, is starting its 2019 membership drive with annual dues starting at $30. For more information, visit lamesafoothillsdemocraticclub.com. —Tina Rynberg is president and Jeff Benesch is vice president of programming for La Mesa Foothills Democratic Club.